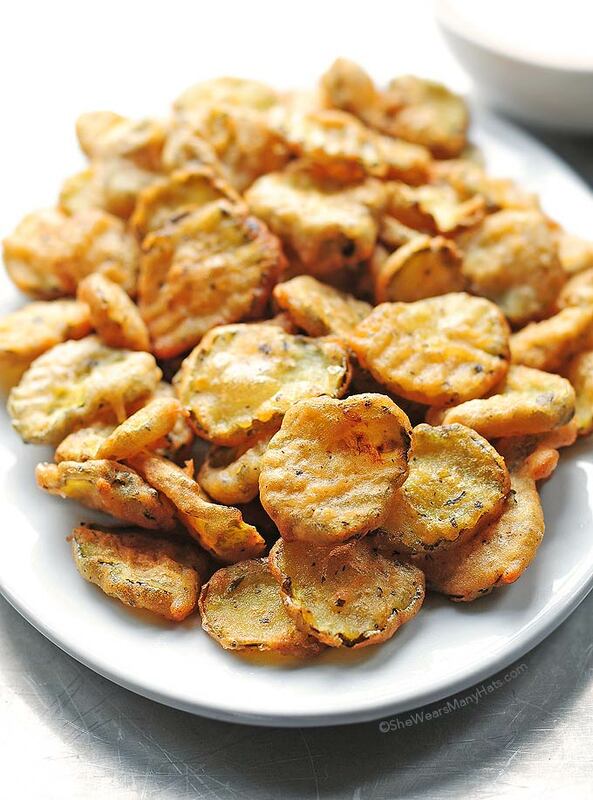 This recipe for Fried Pickles makes a perfectly pleasing palatable plate of goodness. 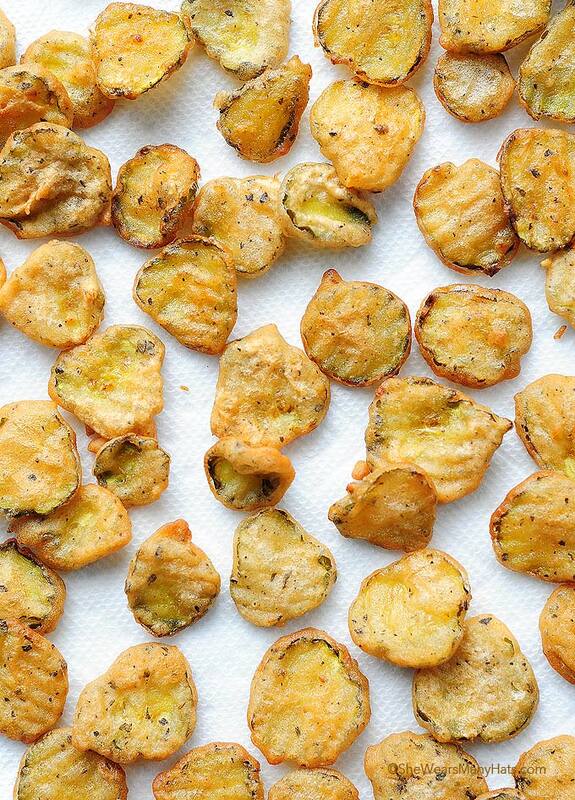 Serve them as an appetizer or a fun side dish at your next party, and watch them disappear! It seems that just about every food known has been fried. Some successful. Others, not so much. Most fried foods I can take a bite or two and that’s enough, I can take it or leave it. but there are other fried foods, like mushrooms, onions, or these Fried Pickles have a flavor and texture combination that just seems right. And to take one bite or two isn’t the easiest thing to do. For that reason, we don’t prepare fried foods on a regular basis. Everything in moderation and all of that. When we do fry something, we make sure that it’s worth the extra calories and fat. These Fried Pickles are worth it in our opinion, or as they refer to tasty things around our area, they’re “good eating.” Of course, don’t forget the Comeback Sauce (very similar to Zax Sauce) for dipping. It’s an essential partner for Fried Pickles. It just is. 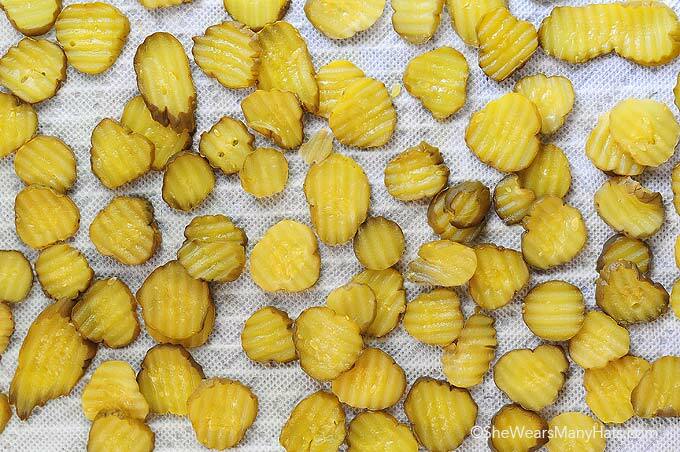 One of the most important steps of this recipe is allowing the pickles to dry off. The batter will adhere to them better and reduce spattering too. These Fried Pickles are little on the spicy side—not too hot, but subtly spicy. I think it’s just the perfect amount of kick (it’s a small itsy bitsy teeny weeny kick), but if you’re concerned about the amount of heat, adjust hot sauce amount to preference, or delete the hot sauce altogether substituting a little pickle juice or water in it’s place. A thermometer to monitor oil temperature when frying is a must. Guessing when the oil is the correct temperature isn’t a good idea. The right tools make all the difference in a smooth frying experience or a huge mess. A large spoon strainer or Chinese Spider is so helpful when deep frying at home. Serious Eats has a great article about wok deep frying. You’ll find some great tips for deep frying at home with a wok that work for any deep frying. 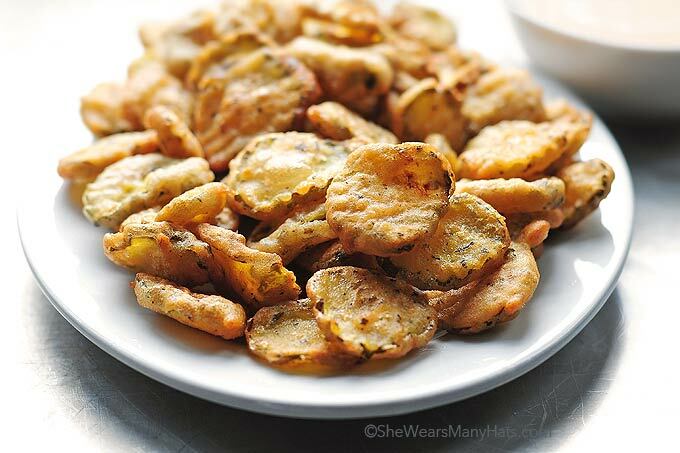 Fried Pickles are a wonderful flavor and texture combination and perfect for an appetizer or side dish. Heat 1 1/2-2 inches oil in a heavy bottomed pot over medium-high heat to 375-degrees F.
In a shallow bowl or rimmed plate, whisk together flour, Italian seasoning, garlic powder, salt and pepper. Add hot sauce and water and mix until smooth. Working in batches, add dried pickles to the batter, gently toss to coat. Using a slotted spoon (or Chinese Spider), remove pickles from the batter and let excess drip off. Gently add pickles to the oil one at a time. Fry for about 1 1/2-2 minutes or until golden. Remove and let drain on paper towels. Monitor oil temperature as batches are frying to maintain consistent 375-degrees F.
Serve with Comeback Sauce and/or ketchup. I love fried pickles!!!!! Omg. So excited for this recipe right now!! My mouth is TOTALLY watering right now! This recipe makes me happy! Just had my ever fried pickles this summer in Glens Falls, NY. These look delicious! Hope to make them this fall. 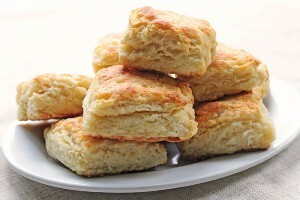 So happy to see this wonderful recipe right as football party season is starting! 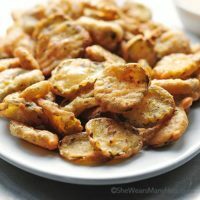 I have friends that will die for fried pickles, and I’m going to surprise them with these – they look delicious! I love fried pickles! 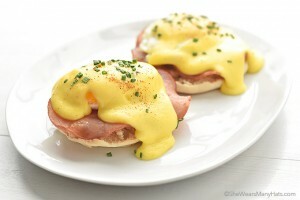 But I’ve never tried them at home, after seeing yours I am definitely going to have to try them, they look fabulous! They say to use water or pickle juice in the recipe if you do not want to use hot sauce ???? I love fried pickles and tried them at home my recipe is just not quite right. So glad to find this one. I tried fried pickles for the first time last year and they were delicious! These look really good. We made these fried pickles today, and they were amazing! Perfectly crispy and great flavor. We followed the recipe exactly and made the suggested dipping sauce. We used Mt Olive Simply Pickles dill pickle slices.